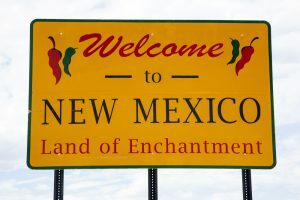 New Mexico’s fourth quarter Bureau of Land Management oil and gas lease sale drew more than $30 million in competitive bids for more than 2,100 acres across the state’s southeastern Permian Basin. The BLM New Mexico office received $30,357,505 for 7 parcels totaling 2,104 acres for the December 7 lease sale. The state’s federal quarterly lease sales have yielded $167,639,147 in bids in 2017. Wyoming has drawn $170,383,683 in bids over its first three quarterly sales, with its final offering later this week. States receive roughly half of the BLM proceeds, splitting the revenue with the federal government. Total sales for 2017 approach $350 million for six Western states—New Mexico, Wyoming, Utah, Colorado, Montana, and Nevada—with the final Wyoming sale remaining. BLM moved its lease sales fully online in 2017, following years of well-documented disruptions and tactics employed by activists to delay, postpone, move, sabotage or cancel live, in-person auctions conducted locally within the states. Congress authorized the agency to begin testing online lease sale auction technology in 2015. The sales are conducted by EnergyNet.com, who also conducts authorized state land lease offerings through the same platform. Megan Crandall, a spokeswoman for BLM, told Western Wire this past summer that in addition to being more secure, the online auctions increased lease sale transparency. “The online sales take advantage of automation and current industry practices and enable greater participation–not to mention the added benefit of interested members of the public being able to view the bidding via the internet,” said Crandall. Being able to conduct the legally mandated quarterly lease sales had become challenging for BLM employees, frequently forced to cancel, postpone, or relocate auction sales prior to offering the parcels online. According to Crandall, moving online also increased safety for those involved. “I think we can safely say that we have seen a decrease in truly disruptive activity,” Crandall told Western Wire. Crandall described two kinds of protesters—those expressing first amendment rights—and others whose only goal was to disrupt auctions and potentially put agency employees’ and public bidders’ safety at risk. “The disrupters, however, were a different story. So, while we do sometimes see protesters exercising their first amendment rights at state offices when we hold online sales, we have not seen the sale-halting type of disruptions that we sometimes saw in years past when sales were actually conducted onsite,” said Crandall. As a result of moving the sales online, the Department of the Interior’s Katharine MacGregor, Deputy Assistant Secretary for Land and Minerals Management, told Congress the agency had seen an “uptick in participation” and increased revenues. Utah’s December lease sale drew $5,871,303 for 49 land parcels covering nearly 54,000 acres. The state saw $6,032,198 in combined quarterly sales. Colorado’s final lease sale attracted $301,039 for 23 parcels covering more than 22,000 acres, with a total of $2,316,582 in sales for the year. Montana held only three lease sales in 2017—the first quarter sale was postponed—but still saw $1,623,547 in competitive bids. Nevada’s lease sales netted $204,318 in bids for the year, but drew no disruptions, according to a BLM Nevada office press release. The oil and gas lease sale for Wyoming will wrap up BLM sales that garnered more than $171 million in competitive bids in the 3rdquarter of this year in New Mexico, Colorado, Montana and the Dakotas, Nevada, Utah, Ohio, and Louisiana.